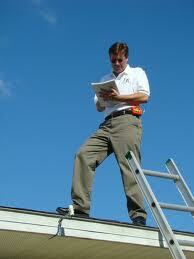 We are versed in both contractor as well as insurance speak. With our Haag certification we are also aware of what to look for and find the damage so you can rest assured of the sanctity of your roof. We will be your advocate with your insurance company and will meet with your insurance adjuster and show them what we found and explain to them why your roof should be replaced. If you need help covering your deductible, we offer financing, as well as state of the art windows and doors. To help with that whole home refresh, you get a new roof start from the top down and give your home a makeover in 2019.